I am going to be completely honest with you: In every aspect of my life I am a planner. Whenever I wake up in the morning, I need to plan my day: what I’m going to eat, what I’m going to wear, and what exactly I’m going to do when. Maybe this is because my father was a military man, who had strict schedules for me when I was younger, but I wouldn’t have it any other way. While I do miss out on “spur of the moment” decisions and have lost some spontaneity, I believe you get more accomplished if you have a concrete plan. If you are trying to lose weight, learn a language, pay off your debt, or buy a house, you need to have a plan. If you don’t have a plan with a goal in mind, then you will always be moving two steps back, one step forward. When I was in high school, during my ultimate planning mode, I decided to play extra-curricular soccer to get in better shape. I did not realize how much I would admire this sport! I knew I always loved soccer, but I did not know that I had a natural ability to play and was quite good at it. The more I was on the field, the more I craved to get better and better, and decided to train as much as possible. I took my love for soccer all the way through college, and now as an adult, I coach my local elementary and high school competitive league teams. Now since I am a coach, I have realized the necessity to have a soccer training plan for every player. If you show up to practice without a plan or a goal in mind (e.g. I will shoot at this speed, or I will run from one end of the field to the other in a certain amount of time), you will constantly be at the same place in terms of ability and skill. You need to go in with a plan and develop one for yourself. Every single player is different and your plan will differ depending on your position, your current skill set, and what your overall goals are. 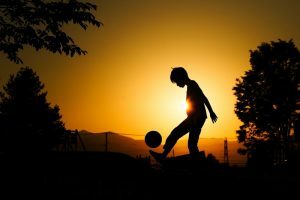 I want you to answer these questions: Why do you play soccer? Do you want to play professionally? What position do you play? What do you need to improve to play that position to the best of your ability? How is your dribbling? How is your passing? How is your shooting? How is your speed? 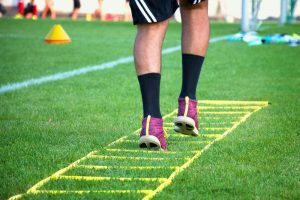 If you answer these truthfully and concisely, you are well on your way to developing a great soccer training plan. 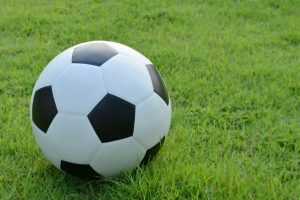 However, many people have difficulty creating a soccer training plan for themselves, because they are beginners and don’t know exactly where to start. Therefore, it can sometimes be beneficial to find the best online soccer training plan program available for you. 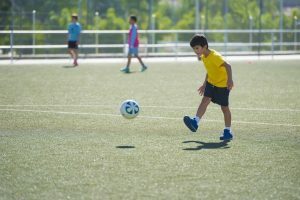 The best one I have found is “The Epic Soccer Training System” available online. It is the best soccer training plan available for you on the Internet because it is easy to follow and has the best drills and training exercises to keep you on top of your game! I think the reason I was drawn to it the most because the owner and creator, Matt Smith, is a professional soccer player who knows what it is like to sit on the bench and not move forward in your abilities. He has created a plan for you that will develop your skills in the fastest way possible while also creating a strong foundation that you can fall back on at any time. His drills are fast paced, efficient, and consistently draining (in the best way possible). If you don’t follow the instructions, or do you it one day and then stop, your skills will not be strengthened. It takes great discipline to be a fantastic soccer player and you must be committed if you are to become one of the best!